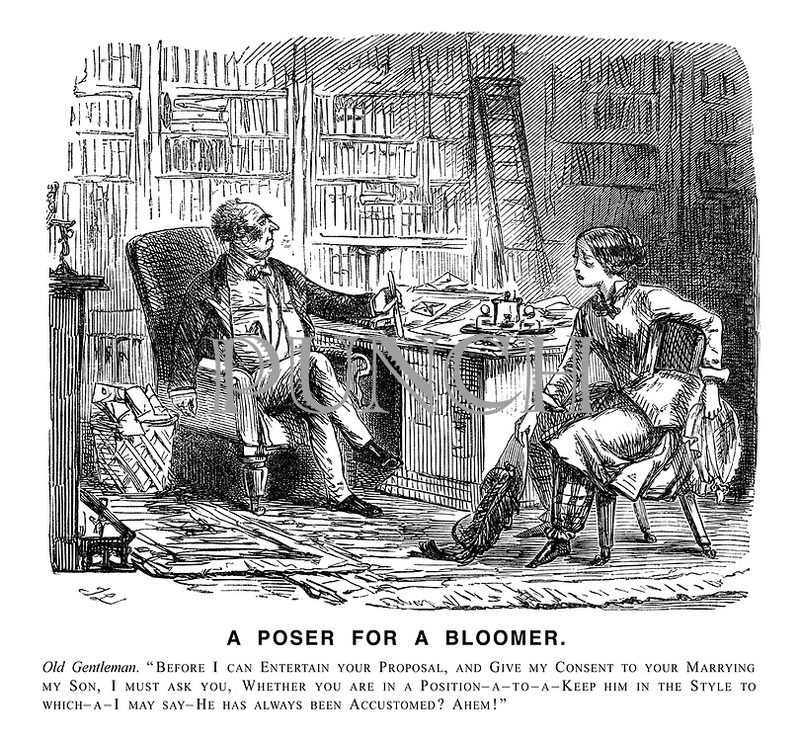 A Poser for a Bloomer. Old Gentleman. "Before I can entertain your proposal, and give my consent to your marrying my son, I must ask you, whether you are in a position - a - to - a - keep him in the style to which - a - I may say - he has always been accustomed? Ahem!"